Double Conversions in 60 Days! We work one-on-one with prospective and current clients to develop a Google PPC campaign to maximize results while staying within any given budget. To have your questions answered by our expert team, contact us by email or give us a call. 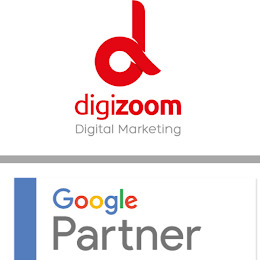 Find out what the Digizoom Google Experts Team can do for your business. We’re offering you a FREE Google AdWords Check to help to start your first search advertising campaign. Hoe overleef jij de Kerst? Hoe genereer je omzet met betaalde advertenties? Hoe maak je een succesvolle webshop? New Season, New Fashion Trends! The New Icon of Instagram - Includes a Bonus! How People Use Their Mobile Phones For Search?